Mobile Devices, Start Your Engines! UNIVERSAL CITY, Calif. — August 5, 2013 — Emmy Award-winning producer and host Ryan Seacrest has been tapped as host of NBC’s unique, fast-paced live interactive game show “The Million Second Quiz.” The announcement was made by Paul Telegdy, NBC’s president of alternative and late night programming. “The Million Second Quiz” premieres Monday, Sept. 9 (8-9 p.m. ET) and continues through Saturday, Sept. 14 in that same 8 p.m. hour. It will then resume on Monday, Sept. 16 and will air each night (8-9 p.m. ET) until the finale on Thursday, Sept. 19 (8-10 p.m. ET) when the winner will claim the largest guaranteed prize in game show history. “The Million Second Quiz” is produced by All3 Media America, Studio Lambert and Universal Television. 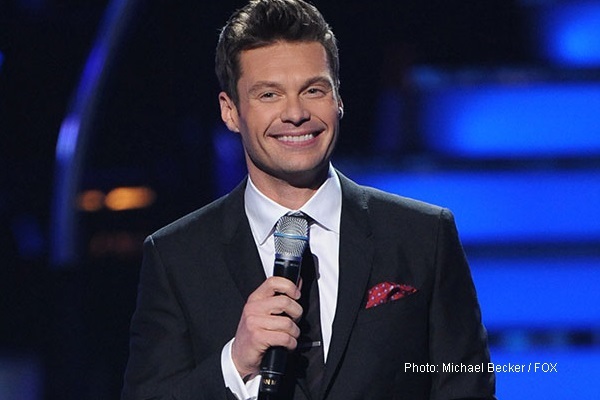 Stephen Lambert, Eli Holzman, David A. Hurwitz and Seacrest serve as executive producers. The concept for the show involves contestants playing head-to-head trivia bouts inside a massive outdoor hourglass-shaped structure in midtown Manhattan and competing non-stop for a million seconds (11 days, 13 hours, 46 minutes and 40 seconds). Each bout consists of one player sitting in the “money chair,” accumulating as much time on the chair as possible by answering trivia questions against a rival sitting in an opposite chair. Each second a player holds the money chair is worth $10, potentially earning millions. Those who want to face off against the person sitting in the money chair can do so by physically coming down to the hourglass or by successfully answering questions online using their mobile devices or home computers.